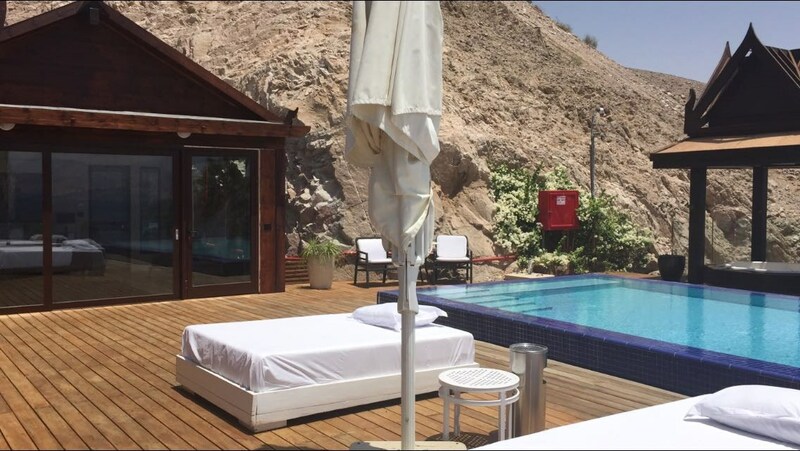 Hugging the natural contours of a mountain slope, The Orchid Hotel Eilat is like an oasis. This is where the desert meet the deep blue coral waters of the bay of Eilat. With its distinctive design, exclusive location and relaxing ambiance, the orchid adds a new exotic dimension to the and fun capital. 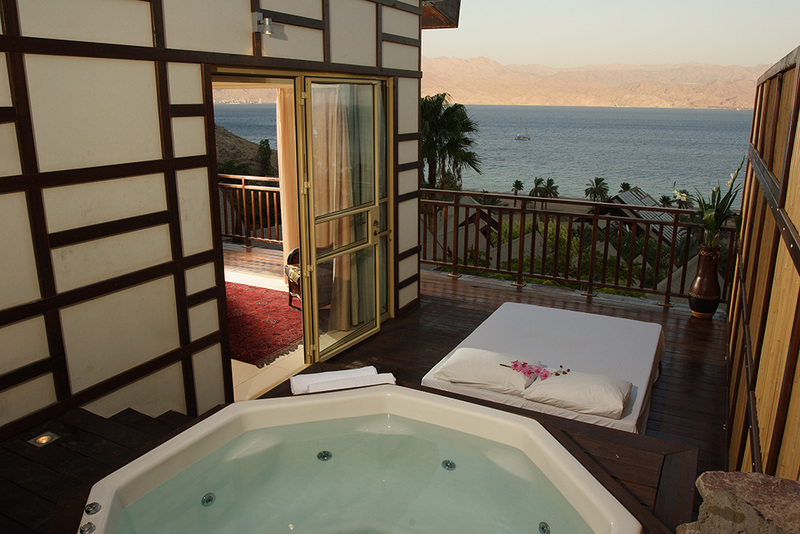 The resort village consists of colorful units overlooking the bay of Eilat. The furnishing, the objects d'art, and indeed the whole atmosphere, were imported from the far east. The entire grounds are bathed in a sea of lush greenery and foliage- a picture-book setting that promises you an unforgettable vacation. GRAND SHANGRI-LA VILLAThe Grand Shangri-la Villa comprises two magnificent villas located at the hotel’s highest vantage point, on the majestic mountainside overlooking the blue sea and the beautiful mountains beyond. An enormous private area permitting the villa’s guests the exclusive pleasure of 2 large and luxurious bedrooms, each with a spacious bathroom, a living room, a private pool and large patio with sun bathing corners and seating areas – all overlooking the hypnotic view of the Red Sea and the Red mountains beyond. A vacation at the Grand Shangri-la. A dream come true. The Grand Shangri-la Villa includes: A private and exclusive structure on the mountainside at the highest point of the hotel grounds, perfect for two couples. 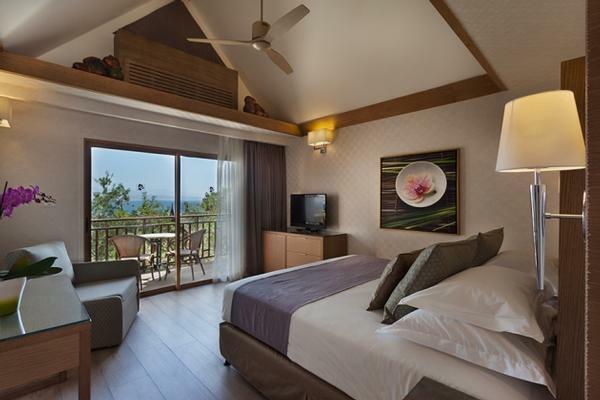 The size (bedrooms, lounge and bathrooms) of the Grand Shangri-la Villa is approximately 105 square meters. Private terrace including sun beds, seating corners, mountainside garden and private pool – approximately 77 square meters. Large luxury bathroom with hair dryer and wash basin. Lounge corner in the bedroom. Elevated king- sized bed with natural down pillows and 100% rich cotton sheets. 42” LCD television in each room. Coffee station with espresso machine and Nespresso brand capsules. I-home music docking hub for easy connection to mp3 players and Apple products. Free wireless internet. CHAO-PHRAYA VILLAThe Chao-Phraya Villa includes: A uniquely designed building brought in its entirety from Thailand. The area (bedroom, lounge and bath) is approximately 56 Square meters. A private pool with sun beds, parasols, exterior shower – on a huge veranda of 250 square meters. Exterior lounging area with comfortable seating corners. Luxury bathroom with shower and comfort setting shower head, large bath with panoramic view of the sea, hair dryer and his and her wash .basins Thai-style dining corner. Elevated king sized bed with natural down pillows and 100% rich cotton sheets. 50” LCD television. Authentic artwork from the Far East. Coffee station with espresso machine and Nespresso brand capsules. I-home music docking hub for easy connection to mp3 players and Apple products. Guests have the option to check-in directly at suite. Free wireless internet. 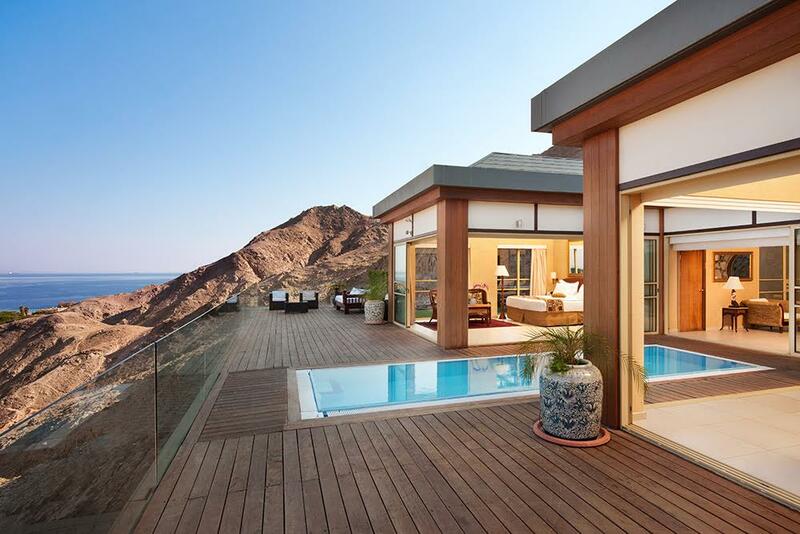 Deluxe Shangrilla Sea ViewThe Orchid hotel's new and prestigious wing, located on a high peak, with most rooms featuring spectacular vistas of Eilat's Red Sea Gulf and breathtaking desert landscapes. All Shangrlia Deluxe Gallery Sea View rooms are air conditioned and equipped with 32-inch screens, cable / satellite TV, digital safe, minibar, hairdryer, coffee and tea making facilities, king size bed with goose down duvet and pillows. Maximum occupancy - 2 adults and two children. Guests enjoy complimentary Wi-Fi access and free international calls to over 60 destinations worldwide. Deluxe Shangrilla Gallery Sea ViewThe prestigious Shangri-La Wing offers a choice of 36 rooms, 9 Shangri-La villas and Grand Shangri-La Villa. The Shangri-La Wing is located at the hotel's highest point and rooms are equipped with balconies facing spectacular views of Eilat's Red Sea Gulf and unique desert landscapes. of Eilat. All rooms are equipped with 32 inch LCD televisions with cable / satellite channels, king size beds, air conditioning, digital safe, minibar, coffee and tea making facilities, luxurious duvets and a choice of feather or synthetic pillows to ensure you enjoy a comfortable vacation. Family rooms have galleries that are perfect for 2 children, offering a unique and fun way for children to sleep. Shangri-La Deluxe Gallery rooms cater for 2 adults with 2 children. Guests enjoy complimentary Wi-Fi access and free international calls to over 60 destinations worldwide. 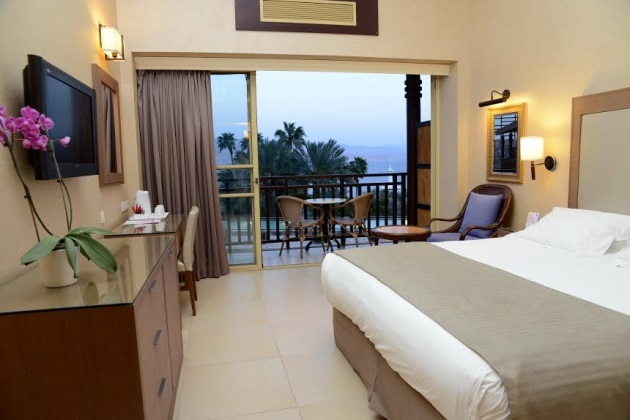 Siam Superior Sea ViewSiam Superior Sea View rooms are equipped with balconies that offer spectacular views of Eilat's famous Red Sea Gulf and desert landscapes. 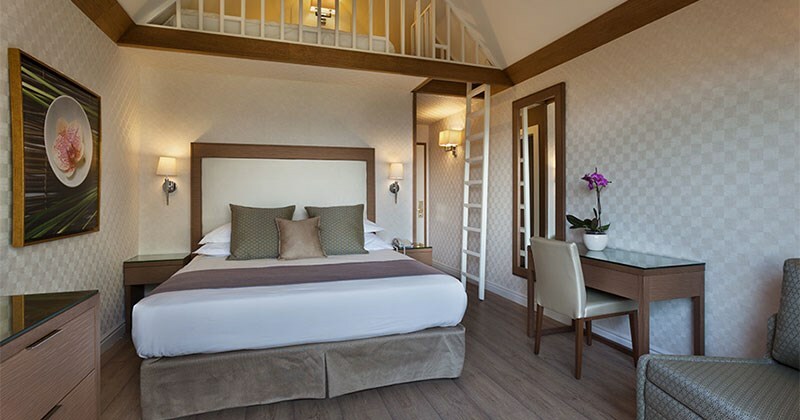 Each room has air conditioning, LCD screens, cable / satellite TV, digital safe, king size beds, minibar, coffee and tea making facilities and hair dryer. Superior Siam Sea View rooms are suitable to cater for a maximum occupancy of 2 adults with one child and all rooms are decorated in traditional Thai style, ensuring you enjoy an exotic and tropical experience during your stay at this unique resort. Guests enjoy complimentary Wi-Fi access and free international calls to over 60 destinations worldwide. 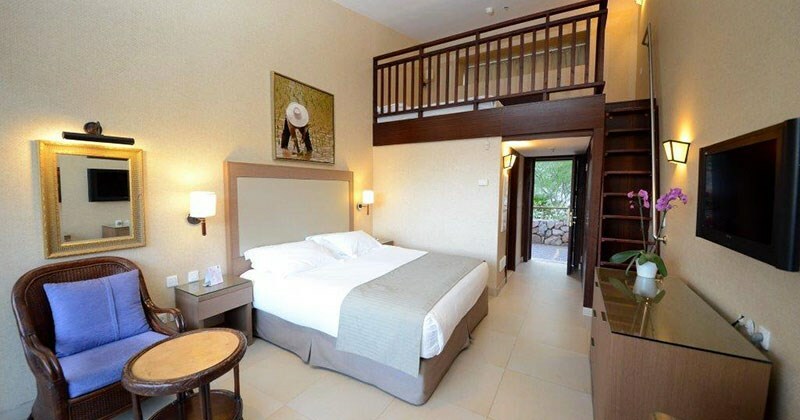 Superior Siam Gallery Sea ViewSiam Superior Gallery Sea View rooms have balconies with mesmerizing views of Eilat's Red Sea Gulf and desert landscapes. Rooms are air-conditioned and equipped with LCD screen, cable / satellite TV, digital safe, king size bed, minibar, coffee and tea making facilities, hair dryer and more. These rooms cater for a maximum occupancy of 2 adults with 2 children and all rooms are decorated in traditional Thai style, ensuring you enjoy an exotic and tropical experience during your stay at this unique resort. Guests enjoy complimentary Wi-Fi access and free international calls to over 60 destinations worldwide. Superior Siam Gallery Pool ViewSiam Superior Gallery Pool View rooms all have balconies offering spectacular and breathtaking views. All rooms are air conditioned and equipped with LCD screen, cable / satellite TV, digital safe, king size beds, minibar and hairdryer. These rooms are designed in a traditional and exclusive Thai style, ensuring your stay at the resort provides an exotic and tropical experience. Guests enjoy complimentary Wi-Fi access and free international calls to over 60 destinations worldwide. Siam WingThe 134 Siam renovated rooms, located at the top of the mountain and most of them have the breathtaking view of the Red Sea, contribute to making your vacation at the Orchid Hotel a very special experience and are central to the unique backdrop of the resort. 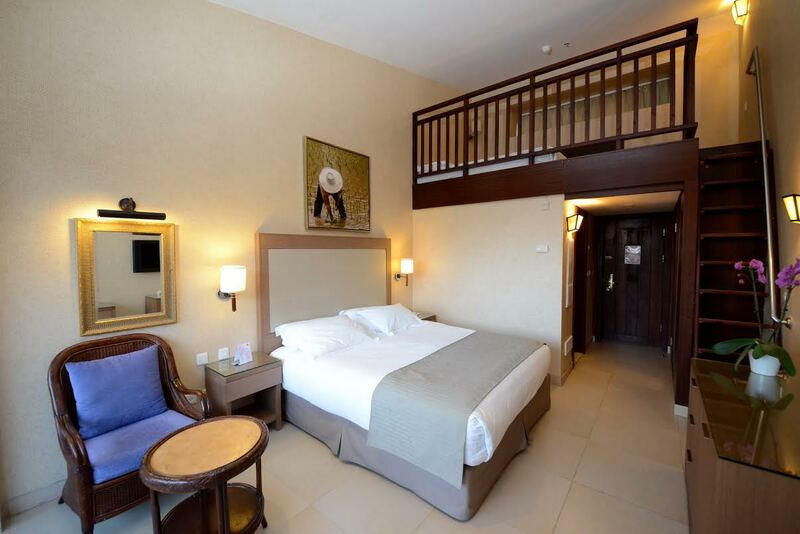 The balconies of the Siam rooms overlook the stunning view (in most of the rooms), and the rooms are equipped with air conditioning, cable LCD satellite television, digital safe, king-sized beds, a mini-refrigerator, and hairdryer. 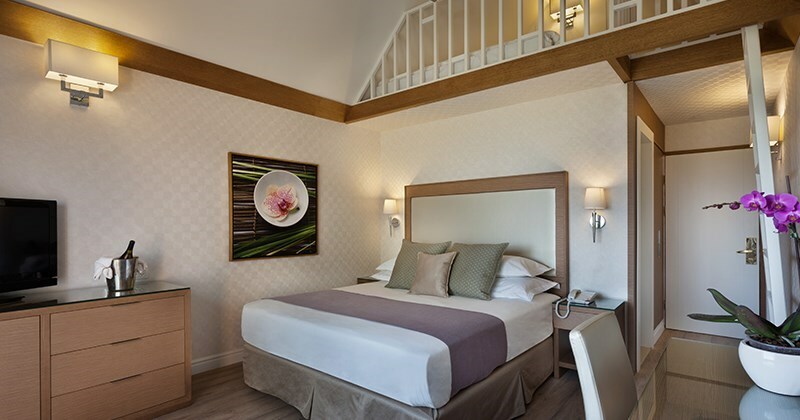 There are also family rooms with a gallery, suitable for two adults and two children, and rooms are available with an inter-connecting door. All the rooms are designed in traditional Thai style, adding to the exotic, tropical experience of your stay at the hotel. The new Villa Royal (Coming soon)- a complex of spacious villas, including a presidential suite, located at the top of the mountain facing the red sea. 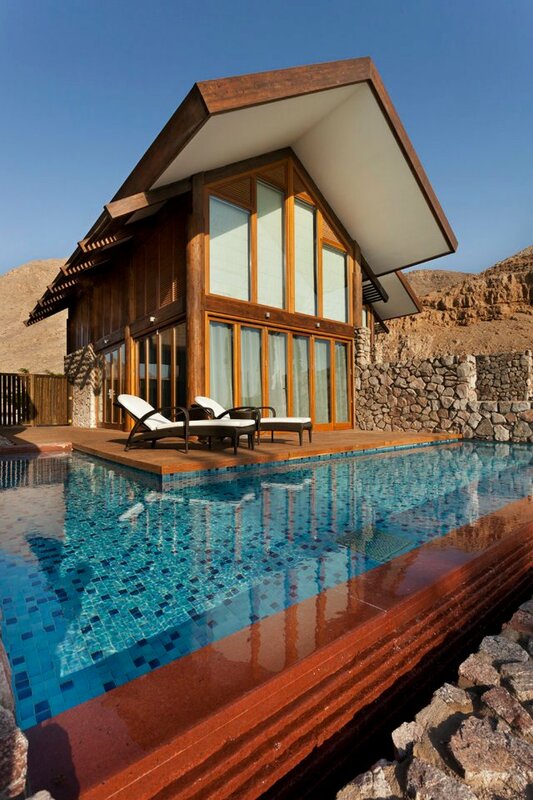 The new Villa Royal will be surrounded by swimming pool, outdoor Jacuzzi, tanning deck and blooming gardens. Deluxe ShangrilaLocated in the prestigious Shangri-La Wing offering 36 rooms, 9 Shangri-La Villas and the Shangri-La Grand Villa. 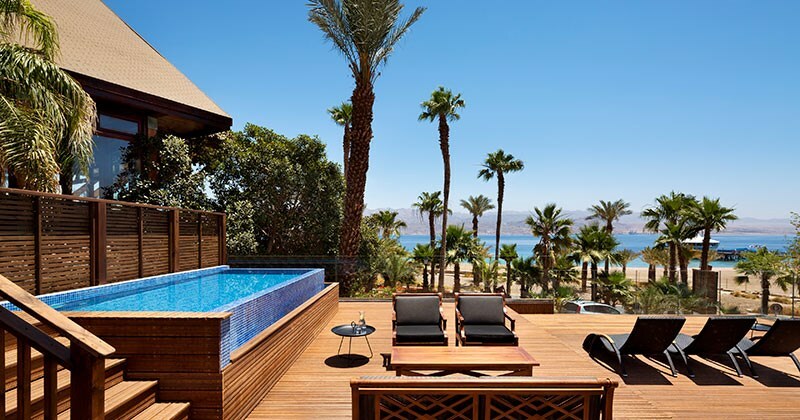 The Shangri-La wing is located on the highest point of the hotel, all rooms offer balconies boasting breathtaking panoramic views of Eilat's Red Sea Gulf. Shangri-La Deluxe rooms are air conditioned and equipped with 32 inch LCD televisions with cable / satellite channels, king size beds, digital safe, minibar, coffee and tea making facilities hairdryer and to complete the experience plush duvets and a choice of feather or synthetic pillows to ensure a comfortable and restful stay. Shangri-La Deluxe rooms cater for 2 adults with 2 children. Guests enjoy complimentary Wi-Fi access and free international calls to over 60 destinations worldwide . Siam SuperiorSiam Superior rooms offer balconies with spectacular views of Eilat's unique desert landscapes, air conditioning, cable / satellite TV, digital safe, king size beds, minibar, coffee and tea making facilities and hairdryer. All rooms are decorated in traditional Thai style, ensuring you an exotic and tropical vacation during your stay at the resort. Guests enjoy complimentary Wi-Fi access and free international calls to over 60 destinations worldwide .